However, like most discount treadmills, don't expect too much from these machines because as the saying goes... "you get what you pay for". Is This Brand for You? If you're looking for the cheapest treadmill you can buy, then this brand offers that. It is perfect for people who would just walk on it and wouldn't really use it for running. On the other hand, if you're a serious runner then you should avoid this or any other budget treadmills. If you really want a treadmill built for runners please visit our best buy treadmills page and choose in the $1,500 or above price range. Merit is starting to become famous because of how affordable their treadmills are. Price seems to be the company's main focus and their biggest selling point. However, like most budget treadmills, the quality of these machines suffers in order to sell them at dirt cheap prices. As mentioned above, Merit fitness equipment are being produced by Johnson Health Tech. They are the biggest fitness equipment manufacturer in Asia and the 3rd biggest in the world. They started in 1975 so they have more than 30 years experience in this field. Johnson is based in Taiwan but it also has a manufacturing facility in Shanghai, China and has service network in 60 countries all over the world. Their other fitness brands include Matrix, Livestrong, Tempo, Vision, Horizon, and AFG. The biggest weakness I see in Merit are their quality. These machines are not built to last very long and their short warranties confirm this. 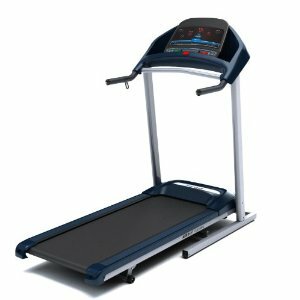 If you are in the market for cheap treadmills and would only use it for walking or light jogging, then you could give Merit treadmills a try. However, If you are a serious runner, then this brand is not for you. I suggest you use our best treadmills page to find a treadmill that fits your need. If you have decided to buy a Merit, then I suggest you buy from Amazon.com. Use the search box to the right and search for "Merit Treadmills". But before you buy, you may want to read our reviews on individual Merit products below to help you find the one that suits you best. Others: The cheapest treadmill from Merit this year is also one of the better budget treadmills you will find below $300. Others: Although this is a decent starter treadmill, it doesn't provide the same value for money as the Merit 715T plus above. Are You Using a Merit Treadmill? If you're currently using a Merit unit or have used one in the past, this site would love to hear from you. It's fun, free and easy to do. And best of all you can help other consumers with your contribution.